A blizzard creates a blanket of snow. Look closer and the true beauty of individual snowflakes can be seen. 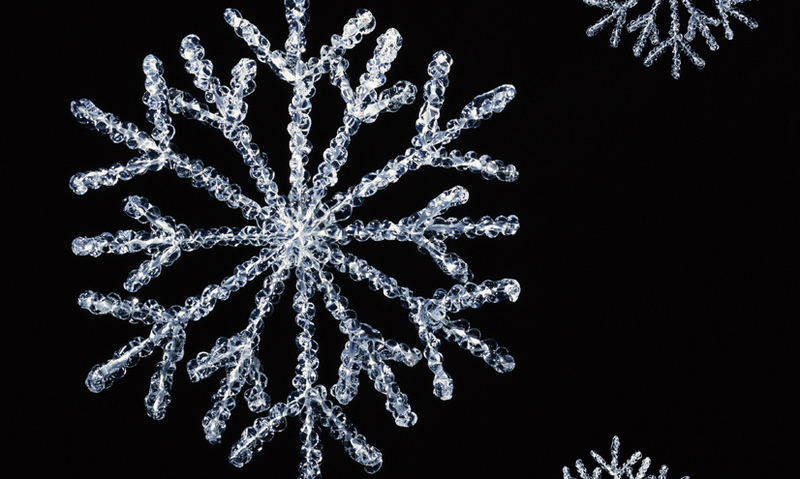 How are different shapes of snowflakes formed and why are they always perfectly symmetrical? Snowflakes form from water vapor in clouds when the temperature is zero degrees Celsius or lower. Temperature, humidity and altitude affect the type of snowflakes that form. Snowflakes are symmetrical because of the arrangement of water molecules in ice. When different types of snowflakes lie on top of one another, the snow will be unstable and an avalanche can occur. When snow lies on the ground, the views can be breathtaking. But the true beauty of snow lies in the formation of individual snowflakes. Snowflakes are varied in appearance and unbelievably complex. But how can water form these structures? Snowflakes form from the water vapour in clouds when the temperature is 0°C or lower.